Oban's favourite hostel, in our converted central Oban church. Great value and a warm welcome awaits! Backpackers Plus is Oban's favourite hostel, located in our specially converted Old Church in the heart of Oban. Whether you are looking for your own private hostel room without the frills and restrictions of a B&B or budget hotel, or backpackers dormitory accommodation that's warm, comfortable and great value, we have just the very thing! Backpackers Plus hostel is right in the centre of Oban – close to the seafront and an easy 10 minute walk from the ferry terminal or bus and train station. Car parks and on-street parking are available near to the hostel - with Pay & Display charges until 6pm, then free overnight until 9am. The closest off-street car parks are at Corran Halls and Atlantis Leisure Centre (both under 5 minutes walk away). The hostel has inside storage for bicycles. Whether you stay in our warm and cosy dorms or our clean and comfortable private hostel rooms, our great value prices include a light breakfast – cereals, bread for toast, juice and hot drinks. Plus there's our fully equipped kitchen facilities - including free tea, coffee and hot chocolate - and our unique Sky Room lounge. Showers, drying room, secure bike storage and FREE WiFi go without saying! There's nowhere else quite like our fantastic Old Church. The moment you walk in - up our amazing piano staircase - you'll be made to feel at home. Our unique Sky Room lounge offers you the chance to relax, meet other travellers and enjoy fantastic views over the rooftops of Oban towards the sunset beyond the island of Mull. We love groups - Backpackers PLUS in the Old Church was purpose-built with groups in mind. We strive to give you the best group accommodation at the best price - giving you the flexibility to keep everyone together and only pay for what you need. For the ultimate in Backpackers Plus value, try our dormitory accommodation. 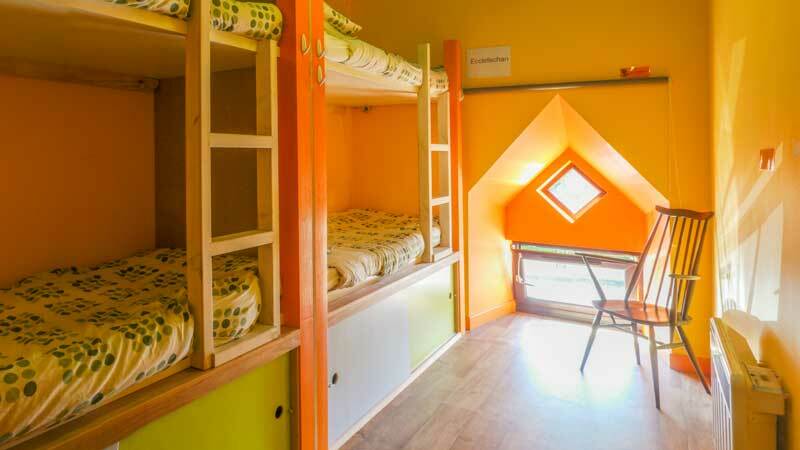 Warm and cosy dorms with custom made bunk beds - we think they're Scotland's comfiest! Prices include sheets, duvet and two pillows; each bunk has its own electric charging point and securable storage. Clean, comfortable single, twin and double private hostel rooms, plus larger rooms ideal for families or small groups of up to 5 backpackers travelling together. 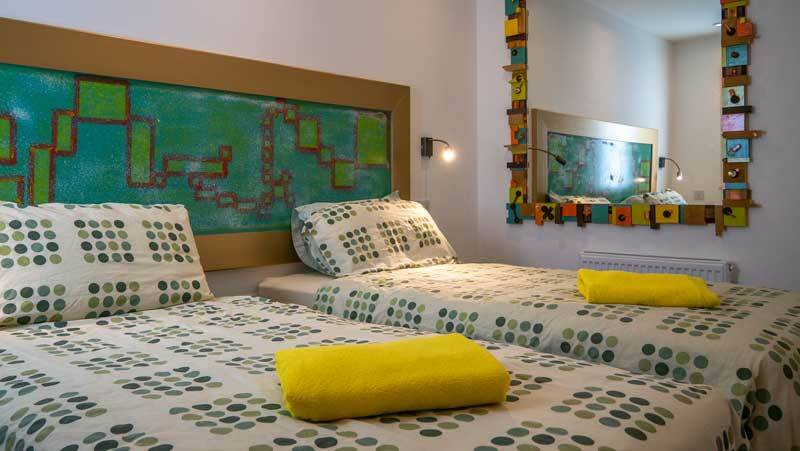 There's a choice of ensuite rooms or rooms with shared bathroom facilities. Bedding, towel, TV and buffet breakfast are included in the price, as is access to all our facilities including the fantastic Sky Room lounge in the main hostel building (less than 100 metres away). A few of the lovely comments we've received in our Backpackers Plus Guest Book - and on our guest wall...thanks guys!